This course includes discussions of tree-structured predictive models and the methodology for growing, pruning, and assessing decision trees. In addition, this course examines many of the auxiliary uses of trees such as exploratory data analysis, dimension reduction, and missing value imputation. use decision trees for exploratory data analysis, dimension reduction, and missing value imputation. have an understanding of basic statistical concepts. You can gain this knowledge from the Statistics 1: Introduction to ANOVA, Regression, and Logistic Regression course. be familiar with SAS Enterprise Miner software. 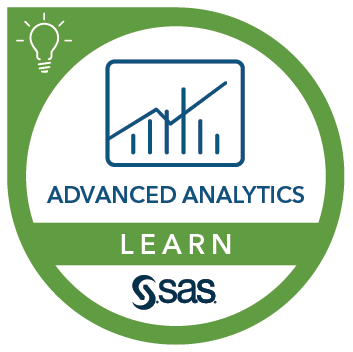 You can gain this knowledge from the Applied Analytics Using SAS® Enterprise Miner™ course. This course addresses SAS Enterprise Miner software.